Space for a shed, Pool, Veggie Garden? Are you looking for a lowset house with room for the caravan and all the “toys”? This property will solve your problems. Here you have a spacious four bedroom home with a 6m x 6m auto garage and positioned on the block to maximize the rear yard space. Please call Chris on 0412 484 929 to discuss this property or book your own private inspection. 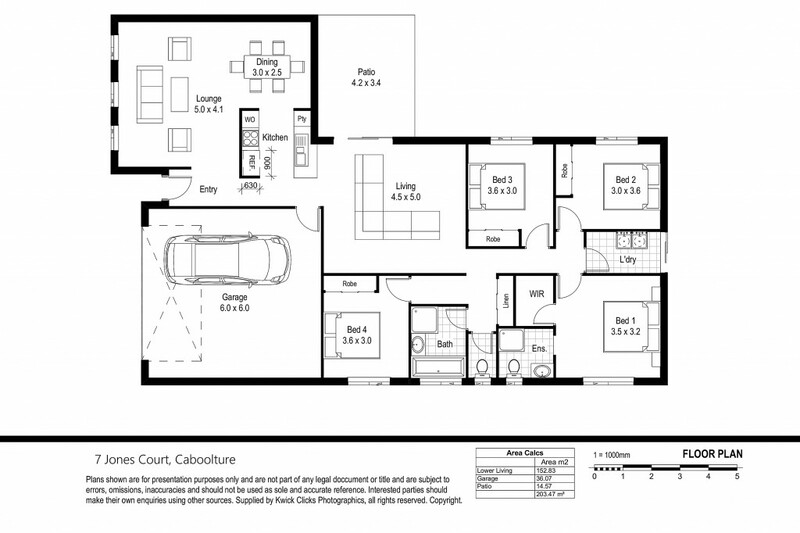 The living spaces are divided into an L shaped lounge/dining room, galley kitchen and then a very well sized tiled family/rumpus leading to the covered entertainment area. The master suite is serviced with an ensuite plus another bathroom and toilet for the guests. All the remaining bedrooms are built in with ceiling fans. The way in which the home is positioned on the block leaves space for the veggie patch, the spa or another garden or storage shed if that is your desire. Situated in a near new estate close to Pumicestone Primary School, public transport, convenience stores and lovely green spaces, this home offers a great standard of living. Easy access to the highway allows you to travel 30 minutes to the beautiful Sunshine Coast and 40 minutes to the Brisbane CBD.